The signs for profitability and growth in the e-commerce market are strong. The U.S. market has grown to be the second largest in the world, and globally the e-commerce industry is estimated to be worth $4.5 trillion by 2021. You are ready to jump in and to tackle your next growth phase. But is your e-commerce set-up ready for it? 1. First consider: Do you want a payments-only or an end-to-end e-commerce solution? The future growth of any business selling online is directly impacted by the e-commerce platform chosen to run the online store. This can be proven by some of the recent mergers we’ve seen this year, including Adobe’s acquisition of Magento to better provide customers a single suite of tools that helps them deliver exceptional e-commerce experiences. Does it facilitate effortless payment processing for me and the customer? Does it support subscriptions and recurring billing? Does it facilitate an easy, modern checkout? Does the platform allow me to scale globally, while maintaining compliance? 2. How are you going to personalize experiences for your customers? Sixty-four percent of consumers want a personalized buying experience and expect that you are able to anticipate their next move and adapt to them. So where can you start to provide those 1:1 interactions? Localization is a great first tactic and a big factor in satisfying this expectation, especially if you are selling internationally. It is important that you know where your customers are and adapt the complete experience—product description, prices and offerings—to their location. 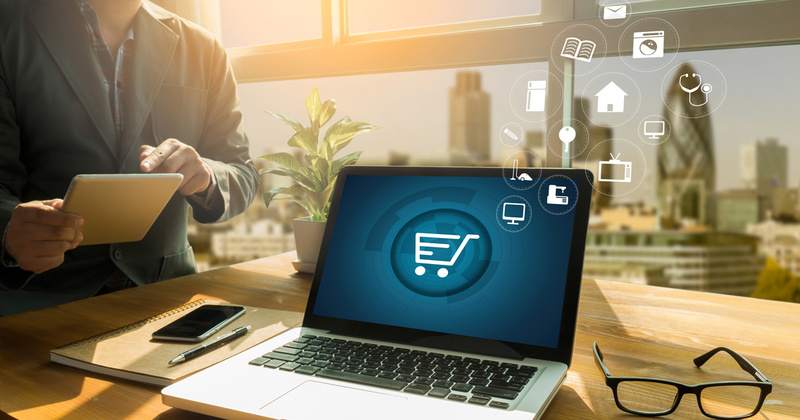 In terms of checkout, with a 75.6 percent cart abandonment rate on average in Q1 2018, as an online seller you must prioritize this key moment during the checkout process in order to facilitate the moment of truth—a click on the buy button. If there are surprise fees, or the process is too cumbersome and leads your customer away from your site, you’ll most likely lose them for good. 3. How are you going to provide a modern shopping experience? Your product catalog needs to be up-to-date at all times and easy to navigate. And don’t forget to optimize for your mobile shopper. According to Mary Meeker, global mobile commerce sales are expected to nearly triple to $2.6 trillion between 2017 and 2021. When deciding on the product display best for your business, ask yourself: How many products am I selling? How do I want to display them? How much information do I need to provide? How long does it take to make changes to a product description or price? If you’re unsure, it’s always safe to start with your own preferences in mind. I personally enjoy an experience that is intelligent, doesn’t distract me with pop-up ads and irrelevant content, and reduces any friction points in the checkout process. 4. How are you going to handle global transactions? The payment options today are endless. Shoppers have access to various forms of payment systems, such as Apple Pay, traditional credit and debit cards, or peer-to-peer payment options like Venmo and fast-growing Zelle, to make purchases throughout their day. Additionally, online payment preferences can vary locally and especially globally. For example, whereas credit cards are the preferred method of payment in the United States, Europeans prefer a digital payment system like PayPal. 5. How will your growth impact your admin operations? Tax management and compliance: Global tax management and compliance can be complicated. They differ widely nationally and especially internationally, so it can be difficult and time consuming to manage these requirements and be compliant. Ensuring now that the tools and strategies you have in place are up to the job will save a lot of time and mistakes made down the line. Customer relations: You need more than just a dynamic, personalized storefront to provide a great customer experience. Availability and attention in times of dissatisfaction round out the experience and are a must for building long-term success. Reporting: Data plays a big role in the decision-making process for product expansions or reductions and offers insight on which products are selling or not. You’ll need to ensure that your solution can track purchases, run rates, and measure account and financial data in a way that provides clear insight into the future of your business. Answering these questions will help you jump-start your online business in a scalable and profitable way, and ensure you have the tools and solutions to carry you to the growth you want to see in 2021. Do you have what it takes, or is it time to reconsider what you have in place? As CEO of FastSpring, Chris Lueck is responsible for guiding the company towards their mission of becoming the leading end-to-end e-commerce solution for digital goods and software sellers to start and grow their online businesses. With more than 15 years in technology and engineering, Lueck has a track record of developing, managing, and scaling innovative products to meet the needs of business executives worldwide. Lueck earned a bachelor’s degree in electrical engineering from the University of Virginia and a MBA in finance and entrepreneurship from the University of Southern California.